We have organised the answers to your questions by categorizing them into their specific courses and our discounted course packages. Please select the course or package you are interested in from the list below. Yes. Our FREE 3-Hour Acting Classes are the perfect first step for anyone new to acting who might be a complete beginner with no prior acting experience or you may have only a little experience with acting. So come along and find out how much fun acting school can be! We also understand how nervous beginner students often are so you are not expected or required to perform in front of others unless you want to, you can just observe. We take students from the age of 13 through to 80. Even though the course has students of all ages, we will always try to put you with other students of the same age and acting experience when you come together to work in small groups. No, our FREE 3-Hour Acting Classes for beginners does not cost a cent! You also have no obligation to continue with any courses in the future. We simply run them to provide people the opportunity to meet us and see how we work. Many students come to see what an acting course is all about and to see if they would enjoy joining us for a weekend course. How often do you run the free course? It changes throughout the year, but usually every 5 to 8 weeks. What time does the course run? Is the course intensive or fun? The FREE 3-Hour Acting Class is for beginners and is designed to be fun and relaxed, not intensive or confrontational. We just want you to come along and find out what acting is all about and have more fun than you thought possible! Simply go to 'Creative Courses' in our main menu. On that page you will see a section for the Free Class with an 'Enrol Now' button you can click on. If I enjoy the course what's next? You will find details on other great courses you can do with us on our 'Creative Courses' and 'Career Courses' pages which you can select in our menu. I am unable to attend, can I move to next course? Do we get a certificate at the end of this? No, sorry we do not issue certificates for the Free 3-Hour Acting Class. Only our paid courses offer a certificate of completion. Just bring yourselves and pen and pad to take notes if you wish. What clothes do I wear? You can wear anything that you are comfortable in. Just bring a jacket as the venue may get cold at times. It changes based on each course and what time of the year you attend. The average is around 15- 20 students, however you will work in small groups of 2 - 4 during practical acting exercises. Our main acting coach, Loren Johnson, runs our acting courses unless certain circumstances occur that make him unable to in which case another one of our trusted teaching staff may step in. Will I have to perform in front of others? It is an acting course and we do script work, but the course is very fun and everyone is nervous to start with but by the end all students have relaxed and are having a great time. However, if you would rather just observe this is not an issue. Both our Kensington and Murdoch studios have ramp entrances for wheelchair access. This course is designed and structured for beginners - from those who have no prior acting experience to people with a little acting experience. We understand how shy and nervous beginner students often are so we make the course fun, safe and supportive. The course is designed to be comprehensive in acting training but at the same time fun and relaxed, not intensive or confrontational. We want you to learn as much as possible whilst having a blast. I have no past acting experience. Can I still attend? Yes, many of our students are complete beginners so this weekend acting course is structured for people just like you with little or no acting experience. So just come along and have fun whilst learning about acting. I only have little past acting experience. Can I still attend? Yes, this weekend acting course is structured for people just like you with little or no acting experience. So just come along and have fun whilst learning about acting. Yes, every student who attends the course receives a certificate of completion. Usually we ask students to bring a pen, pad and water. However we will send you an email outlining what is required prior to the course. Both on Saturday and Sunday the course runs from 9:00am to 5:00pm. (Please be aware from time to time our courses may run up to 30 minutes overtime. We always strive to finish on time, but work to give the students the required time in a scene). Do the students have a lunch break? Yes, but you will need to provide your own lunch. The lunch break is usually 45 minutes long and occurs sometime between 12:30pm to 1:45pm. Do we have morning and afternoon tea? Yes, we provide a basic morning and afternoon tea. The breaks usually go for 15 minutes each. Does the venue have a microwave and fridge? No, but there are nearby shops to buy lunch. The full fee for this course is $695. When you enrol you can choose to secure your place by paying the full fees or with a payment plan. If you opt to pay your course fees with a payment plan, the balance of your course fees is due the Wednesday prior to your course, or 30 days after your enrolment (whichever comes first). The full course fee is discounted if purchasing it as part of one of our course packages or as a special offer. Do you have a refund policy or a satisfaction guarantee? Yes. To ensure we offer the best service to our customers we offer each student "Our 100% Satisfaction Guarantee". You can also read our refund policy in our Terms Of Service. Simply go to 'Creative Courses' or 'Career Courses' in our menu. On either of those pages you will see a section for the Level 1 Workshop with an 'Enrol Now' button you can click on. Or you can choose to enrol in one of our packages and pay a discounted price as well as save on the fees of our other courses too. Can I Change My Credit Or Debit Card On File? Yes, you can change your card on file for future payments by clicking here. I don't have a credit or debit card, can I pay with a bank transfer? Yes, you can pay by bank transfer. To view our bank details click here. Can I pay the balance as cash on the day of the workshop? Sorry, for security and accounting reasons we no longer accept cash at the workshop. Yes, you can pay a course deposit when enroling and you won't need to pay the balance of your course fees until the Wednesday prior to your course commencement date. No. However we do forward all casting information that comes to our office to the relevant students, both past and present. Many of our students go on to do local films, TV shows and TV commercials. After you have attended the Level 1 course you will be emailed a special offer with a discount to enrol in a package for our other courses, or you can go to the 'Career Courses' page and enrol in one of the other courses directly at any time. Yes, both our Kensington and Murdoch studios have ramp entrances for wheelchair access. I have a prior commitment, can I arrive late or leave early? We would rather you didn't, but we do have some flexibility for you to leave early up to one hour on Saturday and arrive up to one hour late on Sunday morning. Unfortunately it would be too disruptive to arrive late on Saturday morning or leave early on Sunday afternoon. If you can no longer attend the full course you may want to transfer to a future course date click here. I have a prior commitment, can I attend only one day? No, unfortunately this is not possible as you work in groups over both days. I am unable to attend, can I move to the next course? Yes, you can transfer to a future course by clicking here. Our main acting coach, Loren Johnson, runs our acting classes along with a teaching assistant (who is usually a Perth actor), unless certain circumstances occur that make him unable to in which case another one of our trusted teaching staff may step in. It changes based on each course and what time of the year you attend. The average is around 20- 25 students, however you will work in small groups of 2 - 4 during practical acting exercises. We will always try to put you with other students of the same age and acting experience when you work in groups. Can I take videos, photos or record audio during the course? No, you cannot make a record of any content taught during the course without prior written permission from Acting Classes in Perth, or you will be in breach of copyright law in regards to intellectual property. Can I take videos and photos of my performances? We are happy for you to ask someone to film or photograph you during your performance ONLY if you have also asked and been granted permission from the other students who will be performing with you and therefore will also be filmed and photographed. I did not get my certificate, what do I do? Please send us your Full Name and Address and we can have it posted to you. This course is designed and structured for beginners and intermediate level actors - from those who have a little prior acting experience to people who have already completed any of our other courses. We make the course fun, safe and supportive for people of varying ages and levels of experience. We would strongly suggest you complete our 2-Day Acting For Film & TV Workshop For Beginners (Level 1) first as that will teach you the foundations and basics needed to then excel in this course. Yes, this weekend acting course is structured for people just like you with only a little acting experience. So just come along and have fun whilst learning more about acting. Will I be given a script for this course or can I use my own? You will be given a script on the first day of the course as you will be working in groups of 2 and or 4 with other students. It changes throughout the year, but usually every 10 to 13 weeks. Both on Saturday and Sunday the course runs from 9:00am to 5:00pm. (Please be aware from time to time our courses may run up to 30 minutes overtime. We always strive to finish on time, but also try to give the students the required time in a scene). Yes, but you will need to provide your own lunch. The lunch break is usually 45 minutes long and occurs around 1:00pm to 1:45pm. The full fee for this course is $495. When you enrol you can choose to secure your place by paying the full fees or with a course deposit. If you opt to pay a course deposit the balance of your fees will be charged to the same credit or debit card the Wednesday prior to the course commencement date. The full course fee is discounted if purchasing it as part of one of our course packages or as a special offer. Simply go to our 'Career Courses' in our menu. On this page you will see a section for the Level 2 Workshop with an 'Enrol Now' button you can click on. Or you can choose to enrol in one of our packages and pay a discounted price as well as save on the fees of our other courses too. When you enrol you will be asked to pay your full course fees or at a minimum a course deposit. If you opt to pay a course deposit the balance of your fees will be charged to the same credit or debit card the Wednesday prior to the course commencement date. Yes, you can pay a course deposit when enrolling and you won't need to pay the balance of your course fees until the Wednesday prior to your course commencement date. After you have attended the Level 2 course you are welcome to enrol in our Level 3 course to advance your acting skills further. You will find information about the Level 3 course on the 'Career Courses' page. It changes based on each course and what time of the year you attend. The average is around 15- 20 students, however you will work in small groups of 2 - 4 during practical acting exercises. We will always try to put you with other students of the same age and acting experience when you work in groups. This course is designed and structured for intermediate to advanced level actors. No, we would not recommend attending this course first as it is not appropriate for beginners with no prior acting experience. We would strongly suggest you complete our 2-Day Acting For Film & TV Workshop For Beginners (Level 1 & 2) first as that will teach you the foundations and basics needed to then excel in this course. It depends on your level of confidence and acting skills. We suggest you contact us to discuss your acting experience and whether this course would be appropriate for you. You can choose a script from our website here, or you can prepare your own. Your email confirmation pack will explain in greater detail the type of script we would suggest. Can I bring props and character clothing to suit my role / script? Yes you can prepare and bring character's clothing and a few character props, but there is no need to bring any set dressings for this course. Both on Saturday and Sunday the course runs from 9:00am to 6:00pm. (Please be aware from time to time our courses may run up to 30 minutes overtime. We always strive to finish on time, but work to give the students the required time in a scene). Simply go to our 'Career Courses'. On this page you will see a section for the Level 3 Workshop with an 'Enrol Now' button you can click on. Or you can choose to enrol in one of our packages and pay a discounted price as well as save on the fees of our other courses too. It changes based on each course and what time of the year you attend. The average is around 10- 15 students. We are happy for you to ask someone to film or photograph you during your performance ONLY if you have also asked and been granted permission from the other students who will be performing with you and therefore will also be filmed and photographed. This Level 3 course is an 'on camera' workshop were your performances will be recorded in class and then played back for review, however, we do not keep these recordings and are unable to give students a copy of the performances. This course is designed and structured for intermediate to advanced level actors who want to develop outstanding audition skills to secure paid acting work. No, we would not recommend attending this course first as it is not appropriate for beginners with no prior acting experience. We would strongly suggest you complete our 2-Day Acting For Film & TV Workshop For Beginners (Level 1) first as that will teach you the foundations and basics needed to then excel in this course. The full fee for this course is $550. When you enrol you can choose to secure your place by paying the full fees or with a course deposit. If you opt to pay a course deposit the balance of your fees will be charged to the same credit or debit card the Wednesday prior to the course commencement date. The full course fee is discounted if purchasing it as part of one of our course packages or as a special offer. Simply go to our 'Career Courses'. On this page you will see a section for the Casting & Audition Bootcamp with an 'Enrol Now' button you can click on. Or you can choose to enrol in one of our packages and pay a discounted price as well as save on the fees of our other courses too. It changes based on each course and what time of the year you attend. The average is around 15- 20 students. Who is The Actor's V.I.P Pass Package for? Our top package - the Actor's V.I.P Pass - is designed as an exclusive membership and is for anybody who wants to launch their acting career and enrol in an extensive training program that covers all aspects needed to start a successful acting career. As this is our top package, there are no higher packages to upgrade to. I have no past acting experience. Can I still do this package? Yes, many of the students who enrol in this package are complete beginners and we have structured all our packages for people with little or no acting experience. The courses are designed in levels to build on your acting skills, knowledge and confidence. After the Level 1 course you will no longer be a beginner and by the end of the package you will have progressed to an advanced level. I only have little past acting experience. Can I still do this package? Yes, many of the students who enrol in this package only have a little prior acting experience and we have structured all our packages for people with little or no acting experience. The courses are designed in levels to build on your acting skills, knowledge and confidence. After the Level 1 course you will no longer be a beginner and by the end of the package you will have progressed to an advanced level. Do I get a certificate for each course in this package? Yes. To ensure we offer the best service to our customers we offer each student "Our 100% Satisfaction Guarantee". 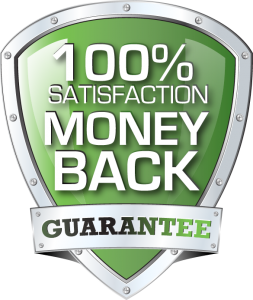 You can read about Satisfaction Guarantee and our refund policy in our Terms Of Service. Simply go to 'Career Courses' in our menu and you will see a section for the Course Packages with an 'Enrol Now' button for the Actor's V.I.P Pass that you can click on. When you enrol you will be given the option to pay either the course package fee in full or the monthly payments on a payment plan. Yes, you can opt to pay you course package fees on a monthly payment plan when you enrol. If you are paying the course package fee in full you can pay by bank transfer here. However, if you are paying the fees on a payment plan we require a credit or debit card to schedule your debits as unfortunately we do not currently have a way to direct debit a bank account. I am unable to attend a course in my package, can I move to the next course? Yes, you can transfer to a future course by clicking here. As you have The Actor's V.I.P Package you will not have to pay any course transfer fees. ​No, sorry you are unable to downgrade your package once you have purchased the Actor's V.I.P Pass Package. ​Can I cancel my course package? Yes, we do have a cancellation policy, for further information read our Terms of Service for 'Discounted Packages'. Yes, you can either pay the balance of your fees, or you can change your payment plan as long as your monthly payments are not lower than your current payment plan. Who is The Platinum Package for? Our Platinum Package is designed for anybody who wants to launch their acting career and enrol in an extensive training program that covers all aspects needed to start a successful acting career. Yes, if you wish to upgrade to our top package - The Actor's V.I.P Pass please contact us. Simply go to 'Career Courses' in our menu and you will see a section for the Course Packages with an 'Enrol Now' button for the Platinum Package that you can click on. ​No, sorry you are unable to downgrade your package once you have purchased the Platinum Package. Who is The Gold Package for? The Gold Package is designed for anybody with a passion for acting who wants to enrol in a quality training program that builds actor's skills, knowledge and confidence to an advanced level. Yes, if you wish to upgrade to one of our top packages please contact us. Yes, many of the students who enrol in this package are complete beginners and we have structured all our packages for people with little or no acting experience. The courses are designed in levels to build on your acting skills, knowledge and confidence. Yes, many of the students who enrol in this package only have a little prior acting experience and we have structured all our packages for people with little or no acting experience. The courses are designed in levels to build on your acting skills, knowledge and confidence. Simply go to 'Career Courses' in our menu and you will see a section for the Course Packages with an 'Enrol Now' button for the Gold Package that you can click on. ​No, sorry you are unable to downgrade your package once you have purchased the Gold Package. Who is The Silver Package for? Our Silver Package is designed for anybody with a passion for acting who wants to enrol in quality screen acting courses that build actor's skills, knowledge and confidence. Yes, if you wish to upgrade your package please contact us. Simply go to 'Career Courses' in our menu and you will see a section for the Course Packages with an 'Enrol Now' button for the Silver Package that you can click on. When you enrol you will be given the option to pay either the course package fee in full or two monthly payments on a payment plan. ​No, sorry you are unable to downgrade your package once you have purchased the Silver Package as the Silver Package is our lowest package.